Veteran Dennis Vitolo of Fort Lauderdale, Fla., was assigned this morning to the #54 Beck Motorsports entry, now the SmithKline Beecham/Kroger/Beck Motorsports Dallara/Infiniti. Of the 21 qualifiers Saturday, 12 were on Goodyear tires and nine were on Firestones. The combined average speed of the Goodyear qualifiers is 212.532. The combined average speed of the Firestone qualifiers is 213.900. The per-lap difference in time is an average of only .271 of a second. Top speeds of not-yet-qualified cars in morning practice: #97 Greg Ray 212.580, #44 Steve Kinser 211.854, #30 Robbie Groff 207.646. 10 a.m. update from Dr. Henry Bock, Speedway medical director: Scott Sharp has a small brain hemorrhage as a result of his crash on Friday. His condition remains good and his status for driving is yet to be determined. He is no longer hospitalized. 11:30 a.m. update from Dr. Henry Bock, Speedway medical director: John Paul Jr. has been released from Methodist Hospital. He has casts on both legs and will be wheelchair-bound for about six to eight weeks. Thomas Knapp Motorsports announced today the addition of the Arizona Diamondbacks, Major League Baseball's newest expansion team and a supporter of the Tobacco Free Kids, for Greg Ray and the #97 Ash Kicker entry. 12:02 p.m. - Robbie Groff took 1 warm up lap but did not take the green due to engine misfire. This morning, USAC Chief Steward Keith Ward clarified the qualifying status of the cars qualified Saturday by Buddy Lazier and Roberto Guerrero, saying the #91T qualified by Lazier can be bumped but the #21T of Guerrero actually qualified as #21 and cannot be bumped. "John Barnes (Pagan Racing team manager) made a declaration to me that he wanted to make the #21T car in the qualifying line into the #21," Ward said. "That's what I agreed to do. In the hurry to get him out there (as the day's final qualifier), we didn't have time to take the 91T' off and I didn't get the required paperwork until this morning." At 4:20 p.m., rookie Billy Boat went on the track in the #1T Conseco AJ Foyt Racing Dallara/Oldsmobile Aurora for practice. 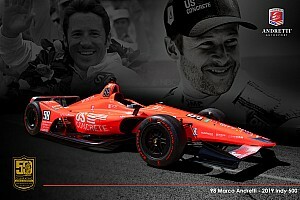 The last pair of brothers to start in the Indianapolis 500 were Gary and Tony Bettenhausen in 1993. With exemption status, Mike and Robbie Groff are guaranteed starting positions in this year's race. 5:57 p.m. #11 Billy Boat took warmup laps but did not take the green. The #11 car practiced as the #1T and changed numbers prior to warming up for the qualifying attempt. At 10:18 a.m., the temperature was 65 degrees with winds from the southwest at 18 mph. At 6:06 p.m., the temperature was 70 degrees with winds from the southwest at 24 mph, gusting to 33 mph. Field average for 23 cars: 212.777. The 1996 23 car field average: 229.388 (-16.611 difference). A total of 43 cars are now at the Speedway, 38 have passed technical inspection and 0 are in the process. 31 drivers have been on the track to date. There were 14 yellows for 1 hour, 21 minutes. There were reports of a possible new track record achieved on Pole Day, in terms of the number of birds interfering with the day's qualifying attempts. A bird was reported on the warmup lane at 9:35 a.m. but flew away. At 11:13 a.m., when Mike Groff was on the track during his qualifying attempt, ducks were reported in the lane, but moved off the track before a yellow had to be thrown. In the span of 41 minutes late in the afternoon, three birds met their demise to qualifying race cars. At 4:48 p.m., the #7 car of Eliseo Salazar hit a bird in Turn 4. "I thought I missed it," Salazar said. "I missed the big family (of ducks in the warmup lane) last year. This year, it was only one." At 5:03 p.m., the #12 car of Buzz Calkins hit a bird in the middle of the north chute, and at 5:29 p.m., a dead bird was reported near the pit exit when the #42 car of Robby Gordon was on the track. USAC Chief Steward Keith Ward said, "I've only seen one or at the most two birds causing problems in the case of qualifying. This was certainly an unusual number for one day. I'd definitely say it's a new track record." 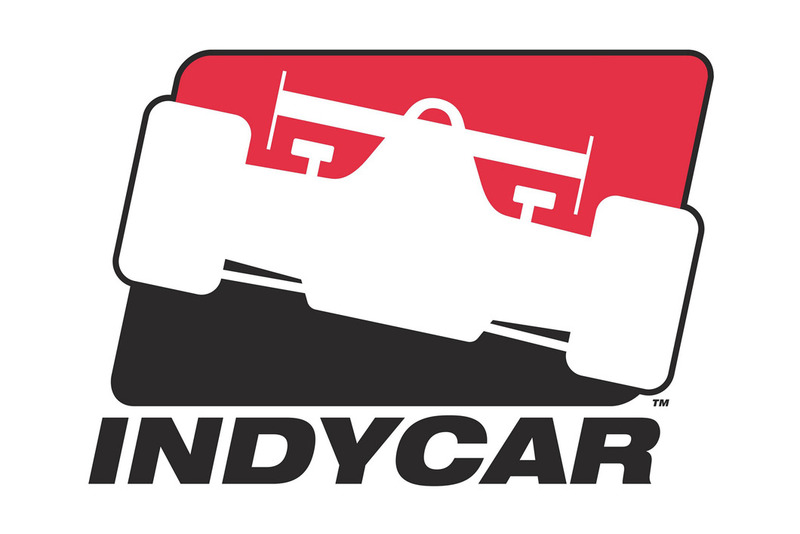 AL UNSER (IRL Driver Coach): (about the rookies:) "The new crop of rookies they're all good. Until the race starts, though, you just don't know. But, right now, they're listening to the officials they're doing everything they're supposed to. I think they're going to do a great job." (About Steve Kinser's run today versus the last time he tried to qualify for the Indy 500:) "There's a lot of difference between 16 years ago and today. He's probably a lot smarter. But things are so different the cars are so different, there's no way for me to compare. He has a lot of driving experience. It's just a matter of time for him to get time in the car here before he really gets the hang of it. . . . (On different types of racing) "We all used to run dirt cars, stock cars, rear-engine cars, and you just learned to run all kinds of cars. 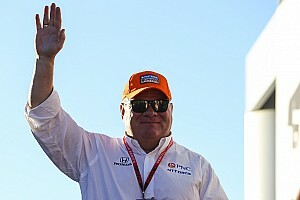 I think with his (Kinser's) miles and experience, he's just that good of a driver." BILLY BOAT (#11 AJ Foyt Enterprises): "We did not take the green flag. We didn't plan on taking it. 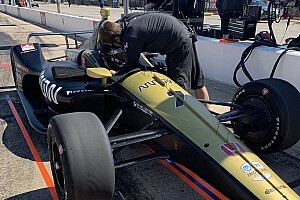 We made some changes to the car late in the day and we just wanted to see how the car felt."